We have been using essential oils in our house for years. Everyday we use at least one oil in a diffuser if not more. And I love to share how we incorporate them into our daily life. When I first started using oils I had no clue what Bergamot Essential Oil was just based on it’s name. In fact, for a long time I never used it because I wasn’t sure what it was. But it’s actually a very commonly used oil. Bergamot oil is derived from the rind of a nearly ripe fruit of the bergamot tree. I bet you’re wondering what is a Bergamot tree? I know I was! It’s a cross breed of a lemon and orange tree. So Bergamot oil has a really nice citrus aroma to it! Reduce Stress and Anxiety – Bergamot has been known to relax people. Take a bath with a few drops, diffuse or even add to a lotion to help unwind after a stressful day. As a Pick Me Up – Having a hard time getting with it? Feeling a little down? Diffuse some in your space and your mood should lighten up. 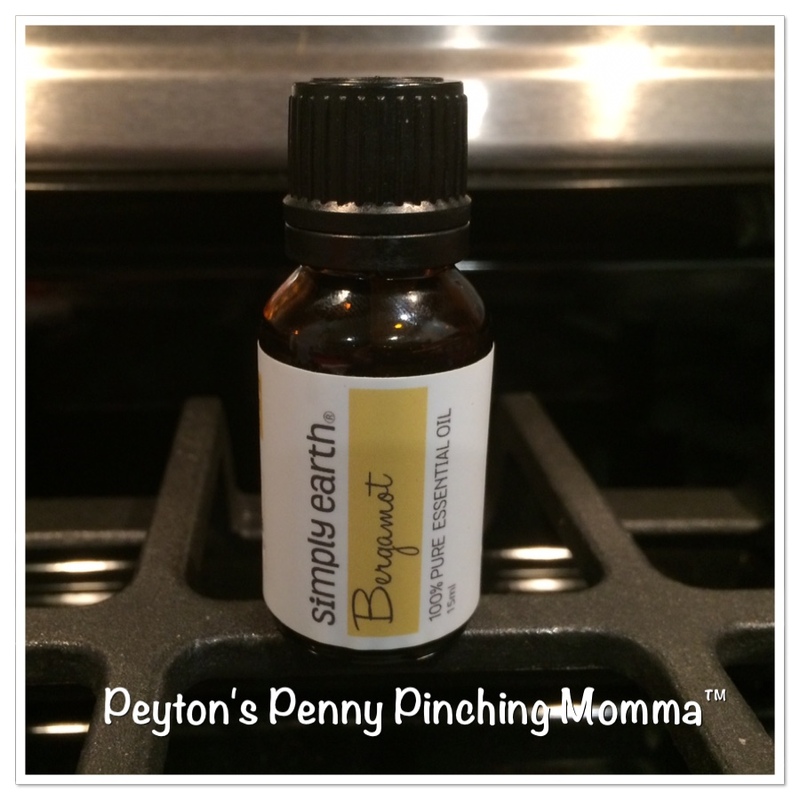 There are so many uses for Bergamot oil. Manufacturers have been using it in perfumes for centuries, massage therapist have been using to help clients to relax and now you can use it too. Simply Earth makes a wonderful Bergamot 100% essential oil that comes in a 15mL bottle. Another wonderful thing about Simply Earth is 13% of every sale goes to help victims of human trafficking. Plus they have affordable prices. They have many wonderful essential oils available online.